Australian oil and gas exploration company Swala Energy (ASX:SWE) has recently announced that it will continue with its exploration projects across Tanzania in 2016, despite the fall in oil prices that started in the second half of 2014. It was announced by Swala CEO Dr. David Ridge after the Annual General Meeting that the company recently held to mainly discuss what the implications of falling energy prices were for East African countries. Brent Crude Oil price has approximately fell 61% from USD 130 per barrel in June, 2014 to USD 50 per barrel in June, 2015 bringing down energy share prices around the world, explained Dr. Ridge. 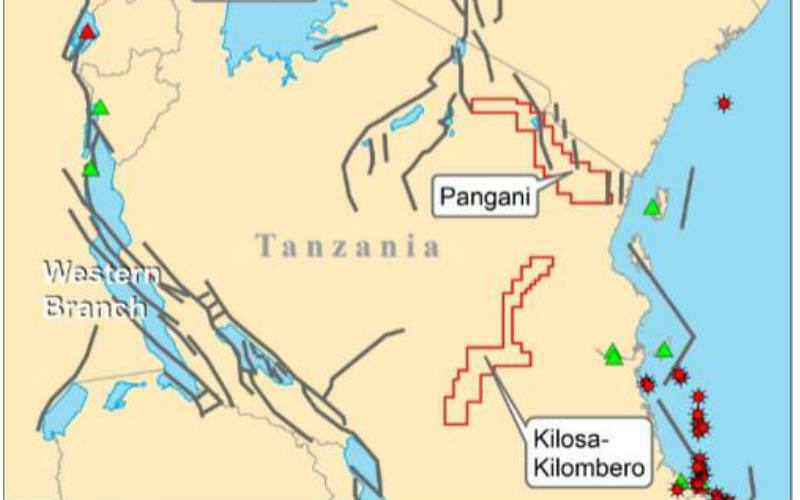 To fund explorations to be undertaken in 2016, the company decided to farm out to Tata Petrodyne Limited (TPL) its share on Kilosa-Kilombero and Pangani licenses, where it holds a 25% stake awarded by Tanzania’s Ministry of Energy and Mining (MEM) with a three years production period from February, 2017 to 2020. With the new agreement, TPL will pay Swala USD 5.7 million as account of past costs, up to USD 2.5 million for one exploration well in Kilombero, up to USD 2.1 million for one exploration well in Pangani, and extras USD 1 million for an additional successful discovery in Kilombero if any. This agreement will help Swala to get funds between USD 6 million and USD 7.5 million that enable the company to finance its operational costs for next year, Dr. Ridge added. TPL will also pay approximately USD 4.5 million of Swala’s drilling costs and if any successful discovery comes up, the company will additionally receive USD 1 million which would total up to USD 12.5 million and support the company’s activities for next years to avoid funding through equity, he concluded. Swala’s findings on Kilosa-Kilombero and Pangani licenses indicate that in the total area of over 34,000 square km, the reserves of oil are estimated to be over four billion barrels. At a current oil price of around USD 46.05 per barrel according to Bloomberg, the reserves represent a total value of USD 184.2 billion, enough to cover the country’s demand on foreign energy for 63 years.